So he developed his own. And 15 years later, Bob had won more world championships than any other American rower in the last century. He was routinely beating competitors, who were 14 years younger. And over those 15 years of grueling world-class competition and training, amazingly, he never got injured. Today, he trains athletes, all across the globe, at the professional, college and amateur levels on becoming faster, stronger and injury free. Bob has been a physical therapist at the University of Pennsylvania and New York’s Hospital for Special Surgery. He developed his “Body Muscle Score” training system to allow athletes to train more effectively than their competitors without getting injured. Many injured athletes, who’ve been told by doctors to “give up” their sport, return to playing better than ever within12 weeks. For example, a kicker for a top arena football team, was told he’d never play again due to a knee injury. After he obtained his “Body Muscle Score” and a customized workout, he was kicking longer field goals than ever just 8 weeks later following a six-month layoff. A top NFL player sustained multiple knee injuries while doing pre-season training that required several quick patch up surgeries, so he could quickly get back to the standard “train hard” stuff his previous “strength trainers” had prescribed. Unknowingly, the “train hard” programs he was using were actually lowering his “Body Muscle Score” which ultimately lead to all his non-playing injuries. A top collegiate and Olympic medal winning coach was shocked to see that none of his athletes got injured after training according to their “Body Muscle Score”, and over a three year period his crews won two national championships and missed out on a third by 0.02 seconds. I was 9 years old when I first discovered that I loved to push myself. It was a bright day filled with sunshine and I was at the local high school track with my dad. Our goal was to run 2 ¼ miles, but between you and me it was really about just earning the right to drink some Gatorade after I crossed the finish line. For years I had watched my Dad run, and polish off a bottle of Gatorade afterwards – and now it was my turn! That first run wasn’t easy, but I did it, enjoyed the Gatorade, and more importantly realized that I loved to challenge myself and push my body to its limits. A few years later when I was 16, a rowing club started in my town so I gave it a try, and was completely hooked right from the beginning. By my sophomore year in college my rowing goals got a lot bigger, I wanted to row in the Olympics. My college coach had rowed at Harvard when he was in college, and I remember him telling our squad that we were not good enough to beat a team like Harvard because we were just not good enough. Man that ticked me off and really motivated me to go for it. I trained for years and believe me there were lots of setbacks and obstacles I had to overcome. Finally, in the summer of 1990, I tried to make the World Championship Team that would compete in Tasmania, Australia. I won the US Trials in single and won the right to compete for the US, but a National Team Coach said I was too slow and he would not let me represent the US at the World Championships. This was disappointing, but I was determined not going to give up on my dream. At last, after so many years of going for it, I got to the Olympics, competing at the Sydney games in the year 2000. Having at last achieved that childhood dream I could now retire from competitive rowing and begin a professional career. I had become a certified as a Strength and Conditioning Specialist (CSCS) and was an expert in movement dysfunctions and human performance. I had plenty of personal experience and expertise by now, but it took a 29-year-old guy from Britain to help me find my calling. I remember the day he limped into my office, around 11 years ago. He was about 5’10” had a strong physical presence and when I evaluated him I could see that he had a harden musculature that only comes from long time training. He told me he had just one goal – he wanted to be able to run 8 to 10 miles at a time three or four times a week without re-aggravating the chronic ankle pain he was suffering from. This guy was no ordinary runner: when he was 18 years-old he had been a finalist at 800m for Britain at the Junior Track and Field World Championships. He developed recurring Achilles Tendinosis at that time and had seen many of the best sports physicians in Britain. He tried multiple orthotics, physical therapy, and tried running in many different types of shoes all to no avail. Ultimately he was told that “you’re done, hang it up…you’ll never run again.” At the young age of 22, his dreams of the competing in the Olympics were over. I looked at him with such compassion, because I knew well what it was like to be told that your dream was over. So, we got to work and even though he had previously gone to many doctors over many years, I just saw him twice, once for an evaluation and then for a follow-up visit. Five months later I was in my office when the phone rang. It was him and he wanted me to know that he was now able to do 10 mile runs several times per week without any symptoms in his Achilles tendon. I could hear the excitement in his voice – he could run again, but it was bittersweet – it was too late to compete in the Olympics; he was just too old. If only someone had bothered to identify and teach him how to train properly to prevent injury. This encounter made me realize what my real passion is, and why all my training and all those thwarted dreams had led to: my mission in life is in helping athletes return to the endurance sport they love. I refuse to accept that you are told by others that you’re done, to hang it up and give up your dreams. I say that it’s never too late to get back in the game, and I’m here to show you how. 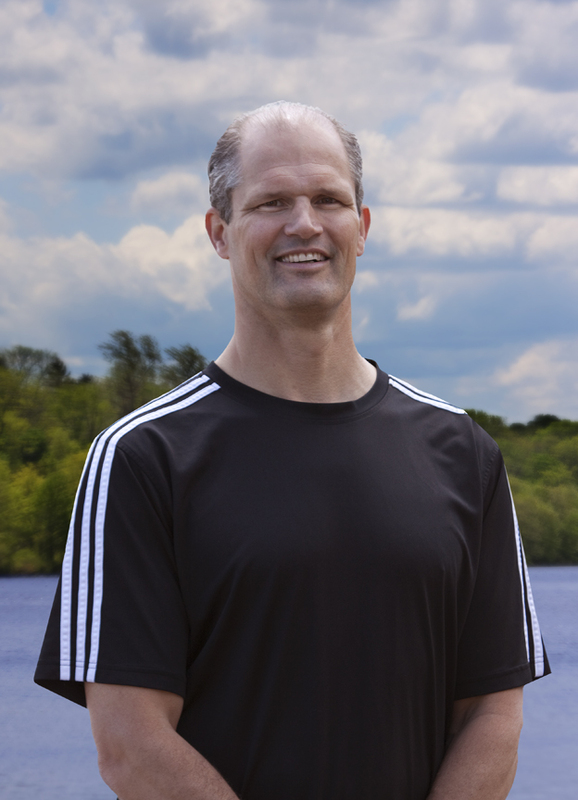 Coach Bob Kaehler is a three-time U.S. Olympian, four-time World Champion rower. Raised in Huntington, New York, Kaehler began rowing at the age of sixteen at the Sagamore Rowing Club, NY, and continued through his college years at Rutgers University, and at Columbia where he earned his Master’s Degree in Physical Therapy. 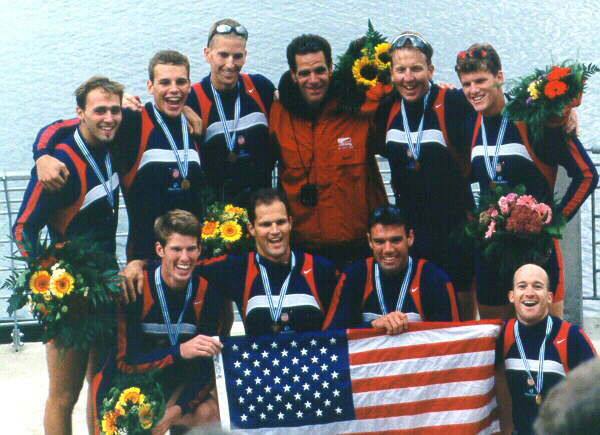 During the course of an athletic career that spanned three decades, Kaehler participated in three Olympic Games (1992, 1996 and 2000) as a member of the U.S. Men’s National Rowing Team. He also competed in seven World Rowing Championships, winning in 1994 in addition to an unprecedented three-year run in 1997, 1998 and 1999 in the Men’s Open 8+. During his ten years on the U.S. national team, Kaehler trained with several of the world’s top rowing coaches including, Igor Grinko, Mike Spracklen and Mike Teti. This exposure to diverse training methods and philosophies helped shape Bob’s unique perspective on training to maximize athletic performance. After nearly two decades as a physical therapist, Coach Kaehler now devotes his efforts to his true passion of health, fitness, and athletic performance. Combining his rowing, physical therapy, and strength and conditioning background, Coach Kaehler has developed a training and conditioning system based on principles of Body Balance. Kaehler’s innovative Body-Balanced approach helps athletes achieve the perfect combination of strength and flexibility, to attain maximum power and efficiency for their chosen activity. Kaehler’s Body-Balanced system has been successfully used by hundreds of athletes to improve their performance, and significantly reduce their sports-related injuries. “Every athlete possesses the qualities of a true champion. We all have the ability to reach our maximum potential by aligning ourselves with proper natural principles that enhance our health, athletic performance and overall well-being.” – Coach Kaehler. For more information on Coach Kaehler and his services, please visit www.CoachKaehler.com.